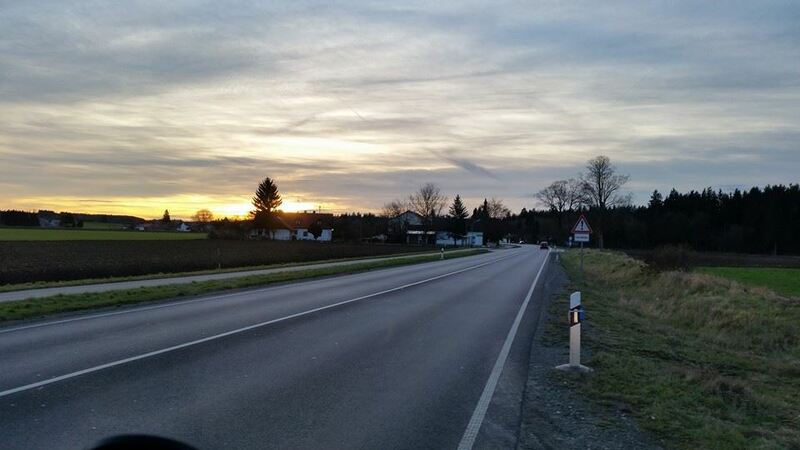 Saturday 13th December I hit the road to Austria for the last Paramotor Meeting of the year. Together with my friend Nico we arrived after 4,5h driving on the field near Waldzell, Austria. It was a bit windy and I thought it will be a bit bumpy in the air cause the landscape is not flat in this are. I’ve been the second pilot in the air and was really suprised about the good flying conditions. More and more pilots arrived at the field and got airborn. I had lots of fun with the pylons and the toys I brought with me. I love the foam rings even more than the ball =) maybe I do a tutorial how to build them in the next time. 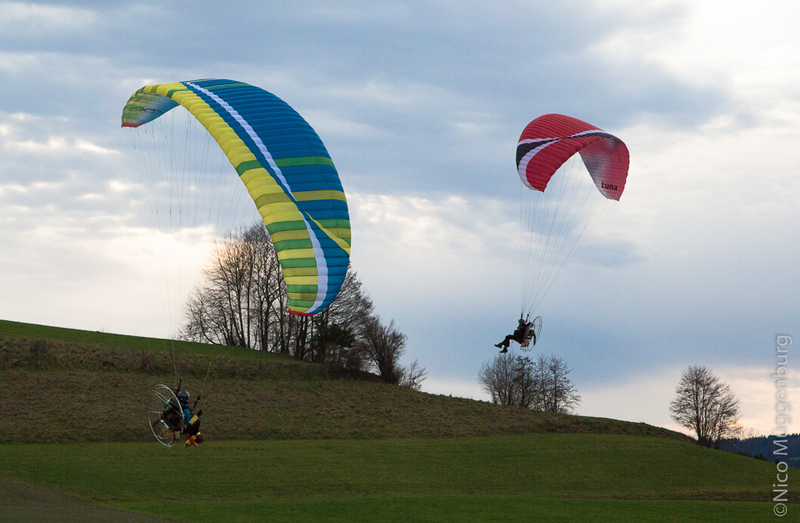 Christoph from BGD and I had many BGD Paramotor Demo gliders with us and people used the chance to test fly them. Maybe this is a difference between german and austrian pilots? 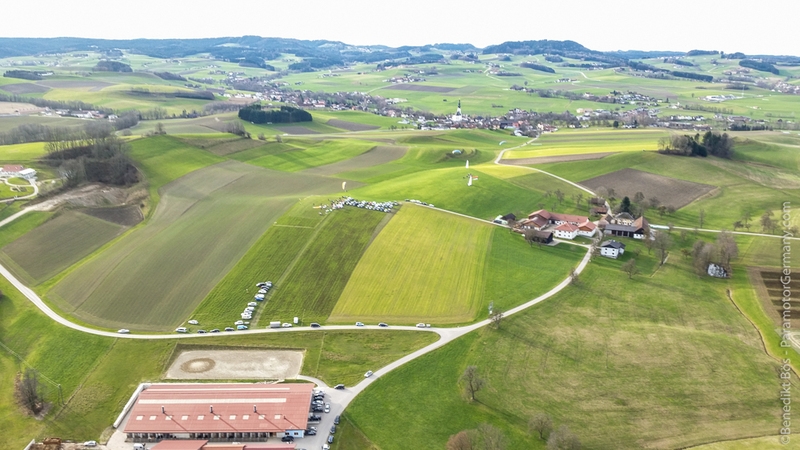 At german testivals not many people want to test fly new gliders… people prefer to fly their own stuff. So I was really happy to see this active community and many different gliders in the air. Most time I was flying the BGD Luna22 cause I feel really good with the handling of the glider. 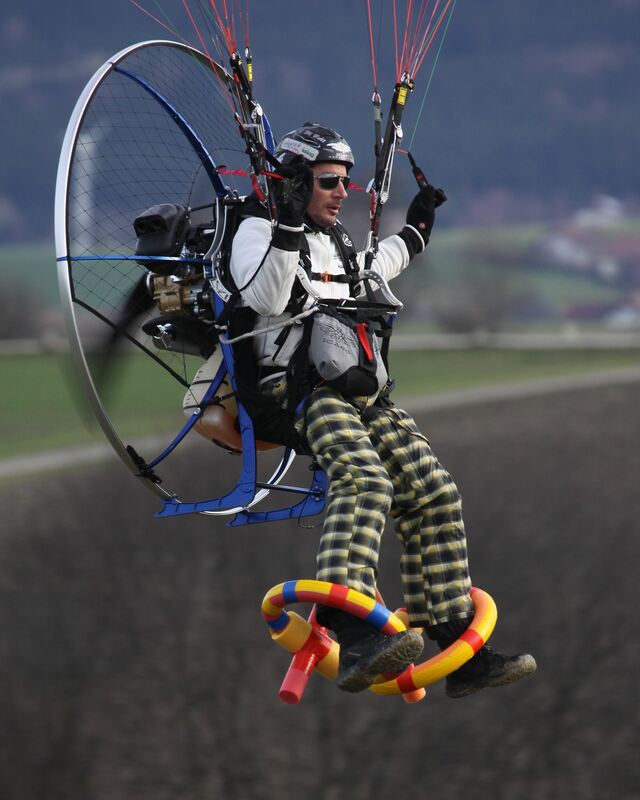 I also fly the BGD Wasp, a EN-B freeflying wing which is also great for Paramotor flying. Pilots who like relaxed flying and not playing too hard and which want to use one wing for mountain and paramotor flying should give it a try. For me test reports are not too important when I look for gliders cause its very important how I feel the glider. So I think its always better to try it yourself instead of only believing in other peoples words. 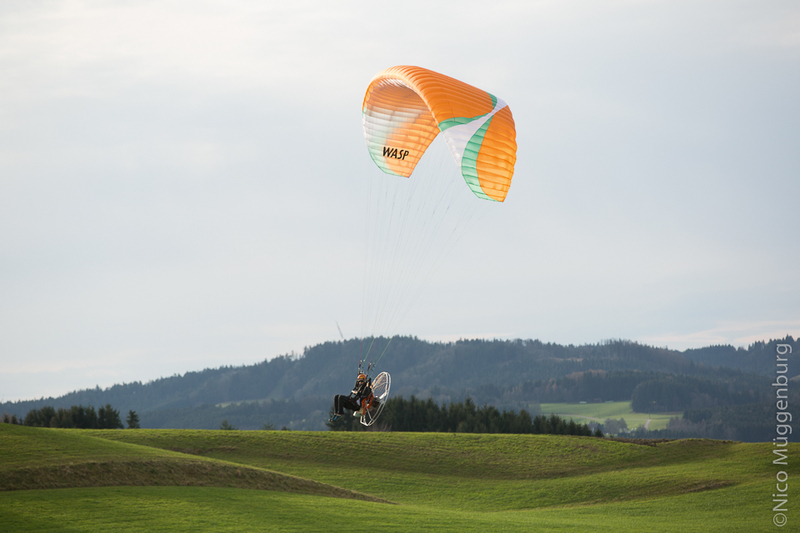 If you want to try a BGD Glider in Germany or somewhere else in the world send me a Mail to bene@flybgd.com and I will send you a demo glider so you can get your own opinion about it. We had a great day and I’m looking forward to come back. Thank you Stefan and ParamotorAustria for this Event!!! Here I have many photos, most of them made by my friend Nico, some made by myself with the Wingmount and my mobilphone. 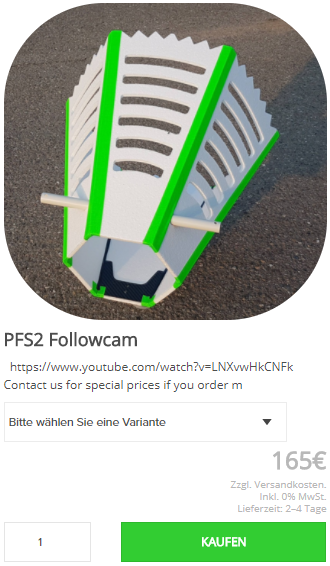 Dieser Beitrag wurde unter Paramotor, Videos abgelegt und mit Austria, BGD, Bruce, Deutschland, fliegen, flight, flying, Germany, Gleitschirm, Goldsmith, GoPro, Luna, Motor, Motorschirm, Nirvana, Paraglider, Paralon, Paramotor, Pylon, Pylonen, Rodeo, Schirm, Slalom, Wasp, www.paralon.de verschlagwortet. Setze ein Lesezeichen auf den Permalink.